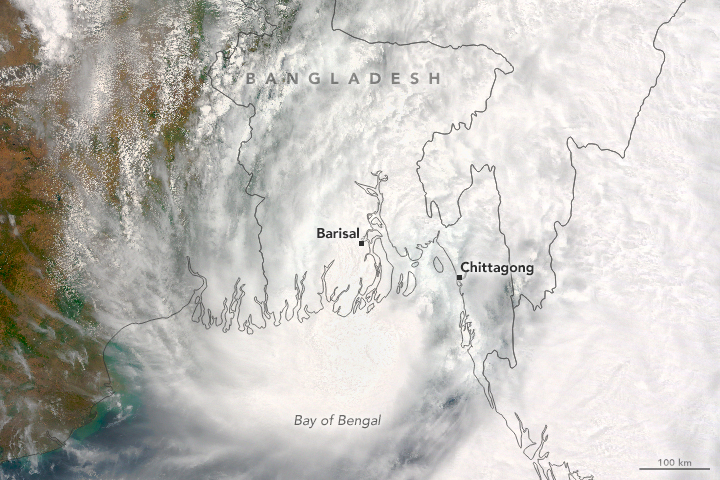 Tropical Storm Roanu made landfall in Bangladesh, unleashing heavy winds and rain on the country’s populous coastal communities. 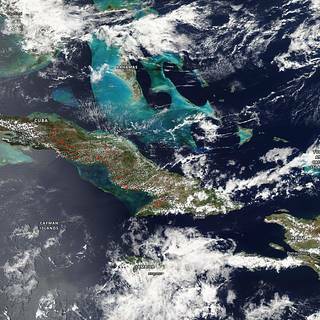 On May 21, 2016, the Moderate Resolution Imaging Spectroradiometer (MODIS) on NASA’s Terra satellite acquired this natural-color image of the storm. 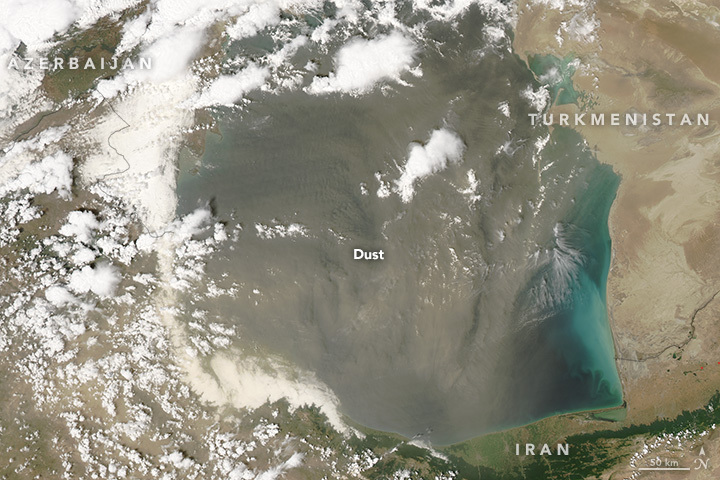 Roanu progressed northeast over the Bay of Bengal before making landfall in Bangladesh. 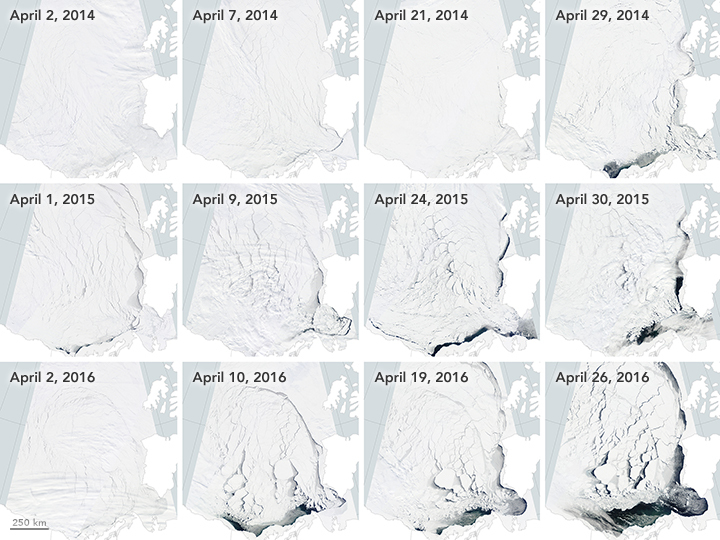 The Beaufort Sea ice pack starts to thin and break up in spring when temperatures begin to rise, usually in late May. 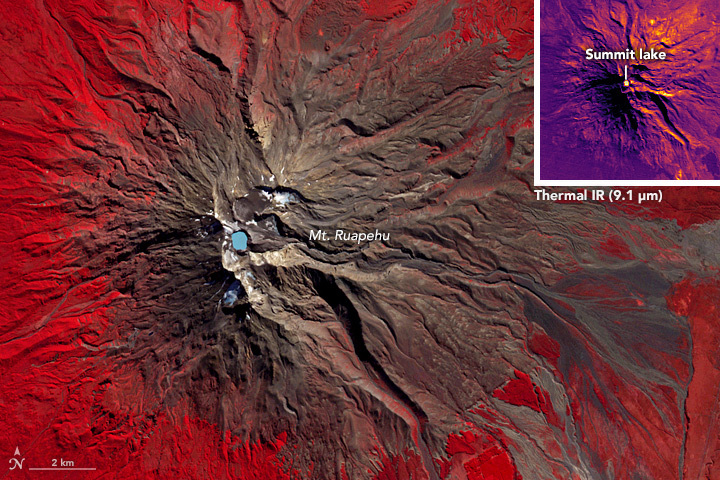 However, much of the Beaufort Sea’s ice had already broken by mid-April. 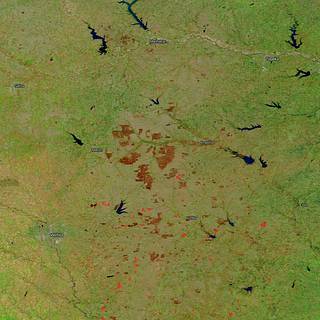 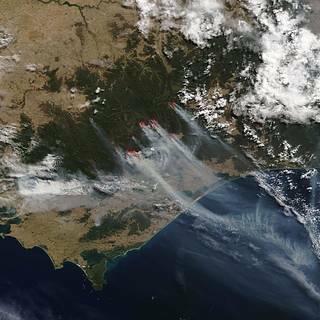 Images from the Moderate Imaging Spectroradiometer (MODIS) on NASA’s Terra satellite captured the progression in April in 2014, 2015, and 2016. 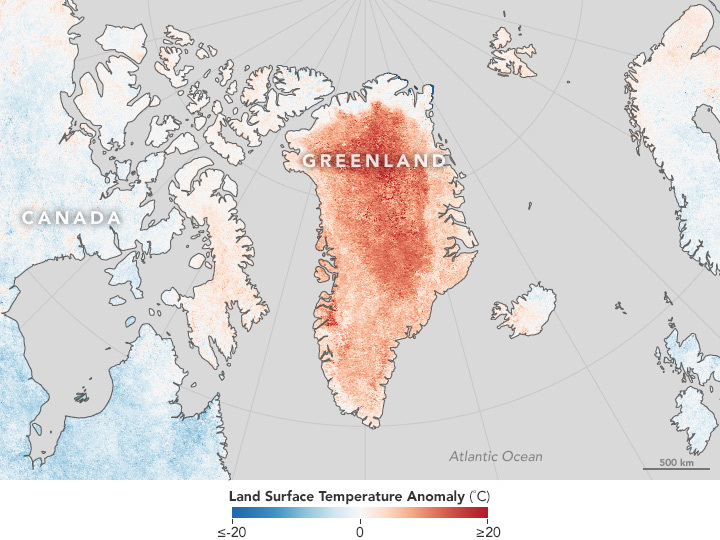 Land surface temperature data from the Moderate Imaging Spectroradiometer on NASA’s Terra satellite shows a much warmer than average April in Greenland. 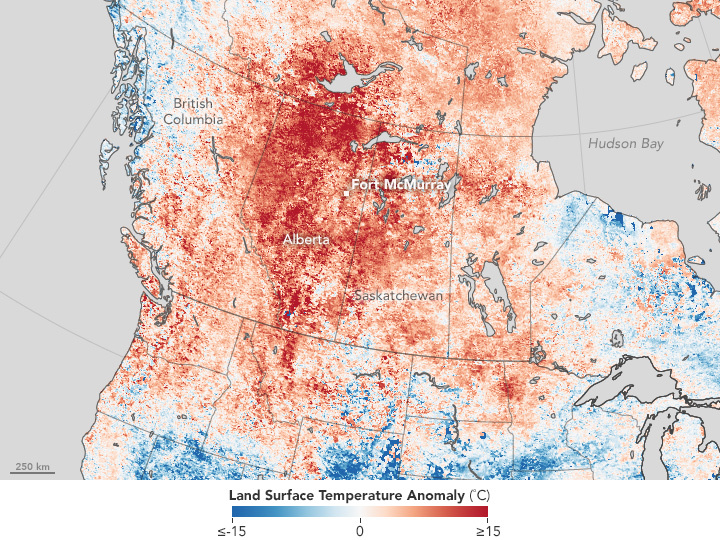 Land surface data from the Moderate Resolution Imaging Spectroradiometer showed increased land surface temperatures near Fort McMurray in Northern Alberta, Canada, where a destructive wildfire burned. 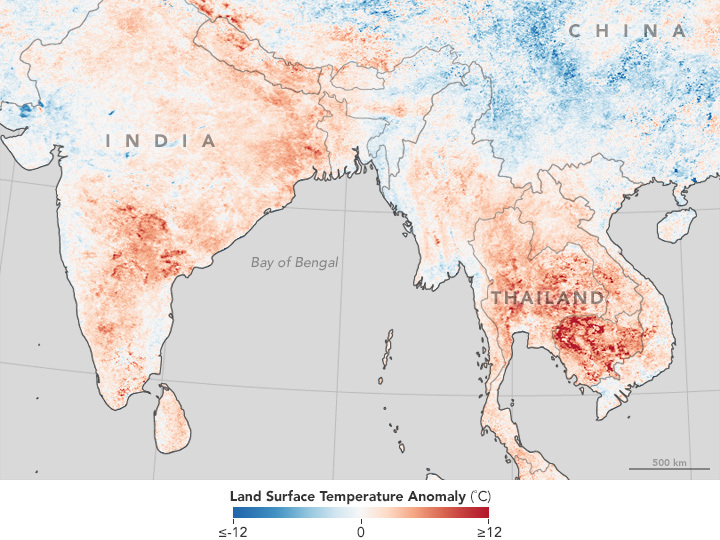 Land surface temperature map based on data from the Moderate Imaging Spectroradiometer on NASA’s Terra satellite shows a warmer than average Southeast Asia in April.